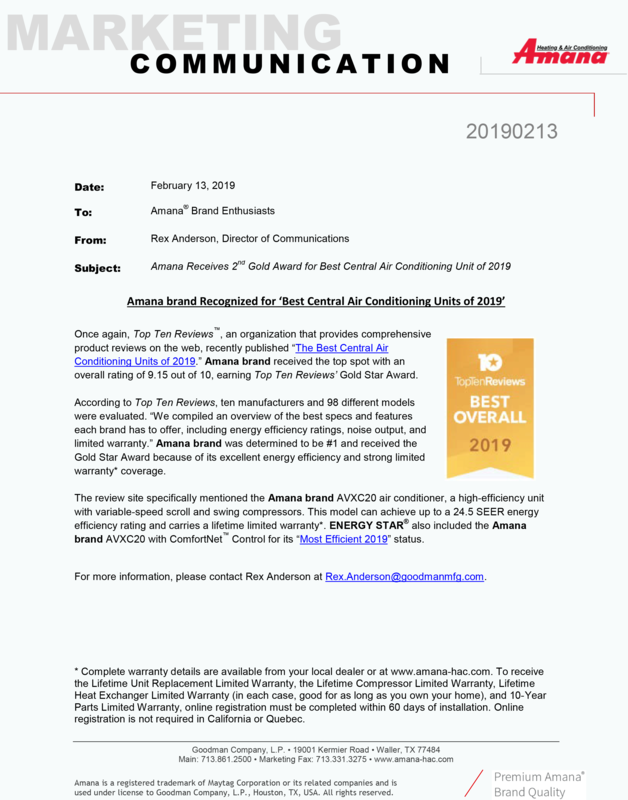 Amana brand Receives 2nd Gold Award for Best Central Air Conditioning Unit 2019 | Zenner & Ritter Inc.
8:00 AM – 4:30 PM. Emergency Service Available 24 hours! We are not comfortable until you are! We invite you to contact us for your HVAC needs. Copyright 2018 | Zenner & Ritter Inc.